What can I do to become a psychic quickly? How can I make my home life more comfortable and fun? What do I say to the kids? 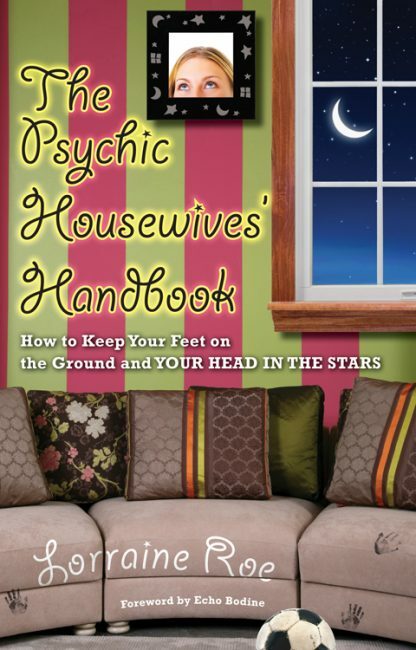 The book is filled with exercises and tips to help ordinary housewives connect with the psychic energy within to enjoy and enrich their lives. "It is a book about pursuing authentic relationships with the living and the dead, experiencing complete freedom and really going for your life." Lorraine Roe is a former investigative television reporter and winner of four Emmy Awards. She is married and a mom to three kids, aged four to twelve, and has been a psychic since 2002. She lives in the Los Angeles area.